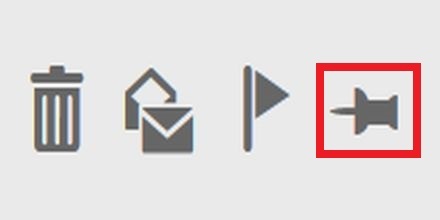 Would you like to view other calendars in Outlook on the web? Outlook on the web allows you to add other calendars to your view. It will depend upon the permissions level granted to you on how much detail you can see on the calendar (free/busy, limited details, or full details). This is helpful if you schedule appointments regularly with another person or resource such as a conference room. This past spring Information Technology Services rolled out OneDrive for Business to the campus community. This is a service that enables you to access data stored in OneDrive for Business from multiple devices as well as through a web browser. Many are interested in the sharing capabilities that this services brings and there are a lot of questions around how best to use and access all of the features. Throughout the summer and into the fall, Information Technology Services will be providing training opportunities via Zoom covering the features and usage options of OneDrive for Business. Additional training will be offered over the next several months so keep an eye on K-State Today for announcements on new dates. 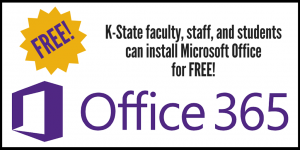 At 5 p.m., on June 1, the default theme on K-State’s email system, Office 365, will be updated with K-State branding. This change is cosmetic and will have no effect on email usage or any custom themes that are in use. If you have any questions, contact the IT Help Desk, 785-532-7722, helpdesk@k-state.edu. In April, Microsoft began the transition of their Lync product to Skype for Business. Over the next several months, Microsoft will be updating their Lync applications to reflect the new Skype for Business name. Along with the renaming of Lync, Microsoft has started to make changes to the look and feel of the Skype for Business applications to bring the end user experience more in line with other Skype products. At this time, the Lync application that is installed as a part of Office 2013 for Windows has been updated. The week of May 4, K-State will be transitioning the Lync service that is a part of Office 365 to the new Skype for Business branding. The only change that the campus community will see is the Skype for Business branding and a new user interface when Office 2013 is updated with the latest Microsoft patches. As Microsoft updates their other Lync applications, K-Staters will see Skype for Business replace the Lync applications. For more information on Skype for Business, see Discover Skype for Business and Lync is now Skype for Business.